Eating healthy just got a whole lot easier. The science is very clear. A whole-foods, plant-based diet is the healthiest possible way to eat—but veganism itself doesn’t mean health, as Chef Del Sroufe, author of the New York Times bestseller Forks Over Knives—The Cookbook, knows better than anyone. Sroufe managed to reach 475 pounds while eating a vegan diet rich in pastries, peanut butter, and potato chips. After converting to a vegan diet with minimal processed foods, sugars and added oils, he lost more than 240 pounds without giving up taste. 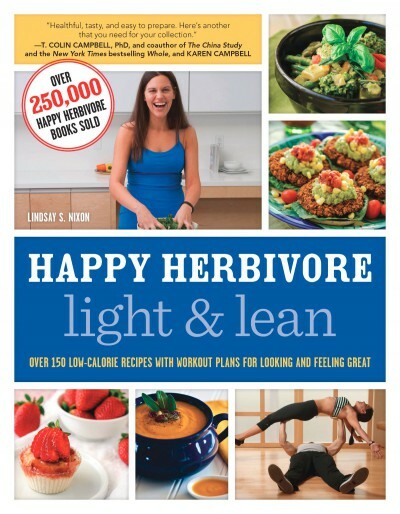 Written with Food Over Medicine and Mad Cowboy coauthor Glen Merzer and featuring photographs from Robert Metzger, Better Than Vegan offers healthy and professional cooking tips with nutritional advice to help you achieve the optimal plant-based diet. Del Sroufe‘s passion for cooking began at eight years old and never faded. 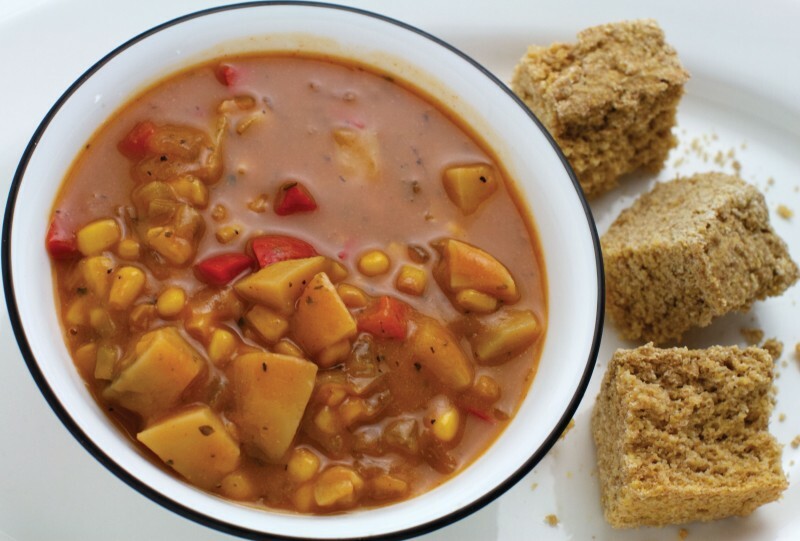 Sroufe opened Del’s Bread, a vegan bakery, before beginning vegan meal delivery service in 2001, serving eclectic plant-based cuisine to Columbus residents. 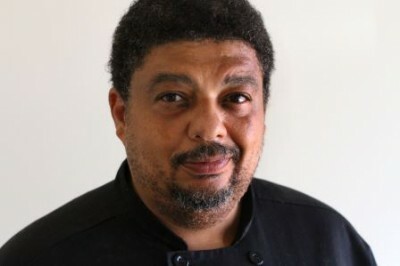 In 2006, Sroufe joined Wellness Forum Foods as co-owner and chef. Sroufe also joined The Wellness Forum as a member where, after a lifetime of yo-yo dieting, he has lost over 200 pounds on a low fat, plant-based diet. He continues to teach cooking classes at local venues like Whole Foods, Community Recreation Centers, and The Wellness Forum. Sroufe is also the author of Better Than Vegan and the bestseller, Forks Over Knives—The Cookbook. 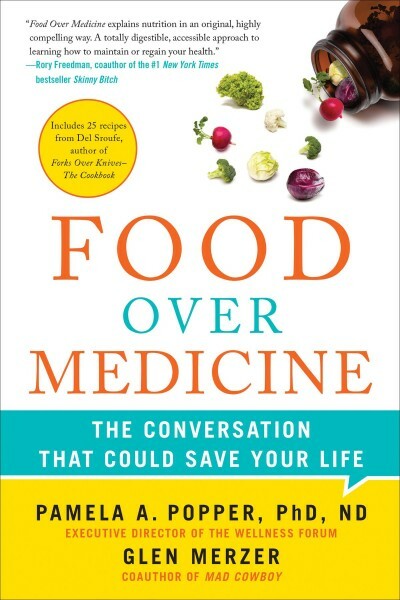 Glen Merzer is coauthor with Del Sroufe of Better Than Vegan, with Pamela A. Popper, PhD, ND of Food Over Medicine, with Eric Brent of The HappyCow Cookbook, with Howard Lyman of Mad Cowboy, with Howard Lyman and Joanna Samorow-Merzer of No More Bull!, and with Chef AJ of Unprocessed. He is also the author of Off the Reservation. 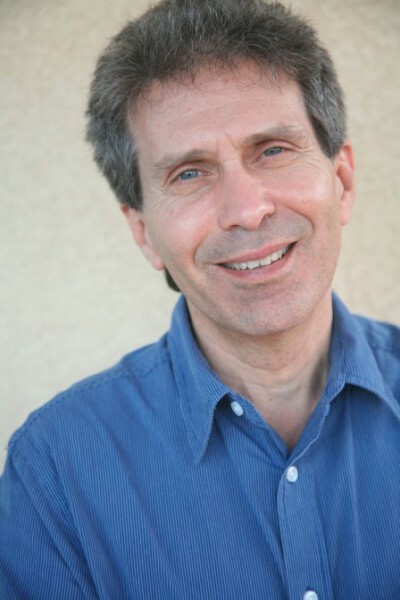 Merzer is also a playwright and screenwriter, having most recently completed a screenplay for Mad Cowboy. He has been a vegetarian for 40 years and a vegan for the last 20. Sukiyaki is a Japanese soup or stew usually made with meat, vegetables, and a broth made of soy sauce, mirin (a Japanese rice wine used in cooking), and sugar. I make it with brown rice noodles (though udon or soba are often used). 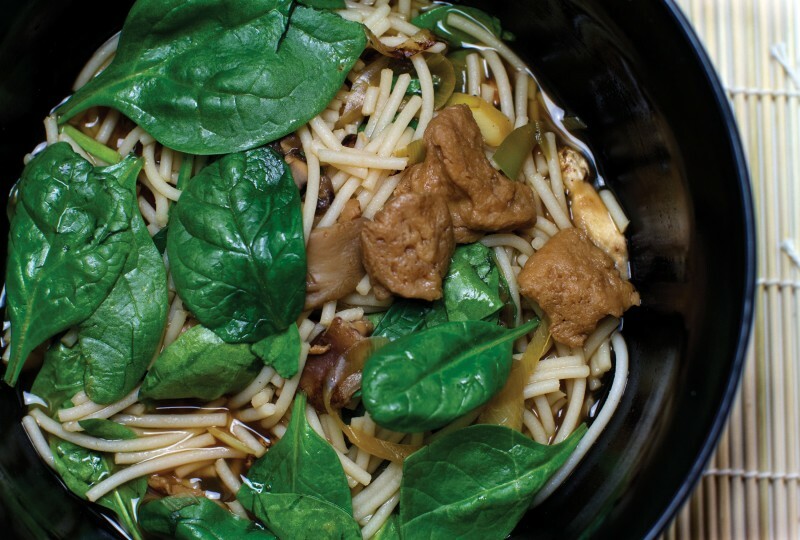 It is one of my favorite noodle dishes and comes together quickly once all the ingredients are assembled. Most of the ingredients for this dish can be found in traditional grocery stores, though I sometimes have to go to my co-op or local natural foods store to find seitan. Cook the pasta according to package instructions. Drain and set aside. Sauté the leek and mushrooms in a large skillet over medium-high heat for 5 minutes. Add water 1 to 2 tablespoons at a time to keep the vegetables from sticking. Add the stock, seitan, syrup or agave nectar, sake, mirin, and soy sauce to the vegetables and mix well. Bring the mixture to a boil and add the spinach and noodles. Better Than Vegan is the Holy Grail of human diets. Read, learn, and thrive. — Howard Lyman, author, Mad Cowboy and No More Bull! Chef Del has battled his own dietary demons and emerged triumphant. 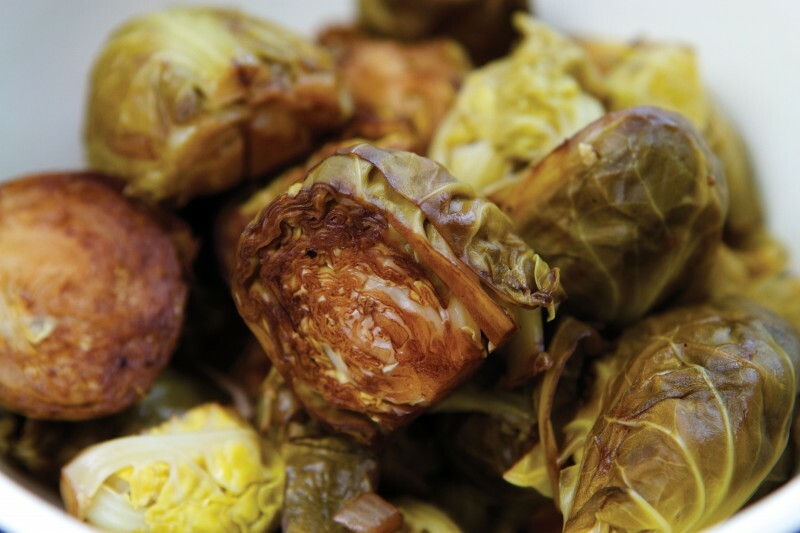 His deliciously healthy recipes are victories for all of us who care about eating well. Chef Del has just expanded your repertoire of healthy, hearty, delicious dishes. His creative instructions on cooking without animals or oils will move you quickly along to a better life. The key to achieving optimum health is getting the right food onto your plate. Better Than Vegan could help you do that! 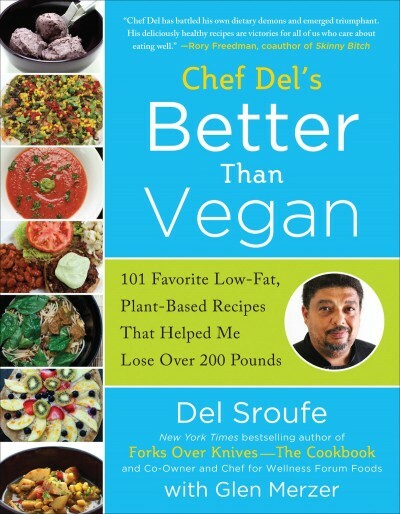 After Chef Del offers his very relatable, fascinating story of struggle with his weight, he valiantly swoops in with the ultimate solution—a low fat, whole food, plant-based diet. 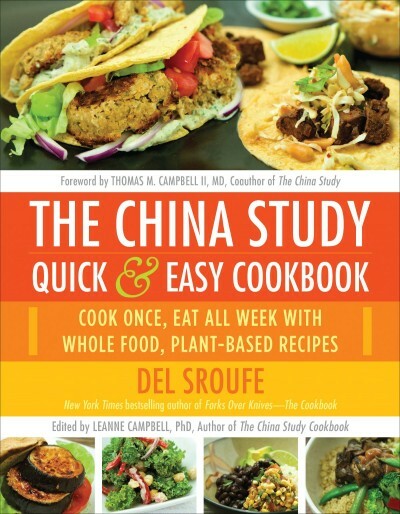 I highly recommend this book as you will fall in love both with the magnificent and healthy recipes as well as their charming creator. — Julieanna Hever, MS, RD, CPT, author of The Complete Idiot's Guide to Plant-Based Nutrition and host of "What Would Julieanna Do?" 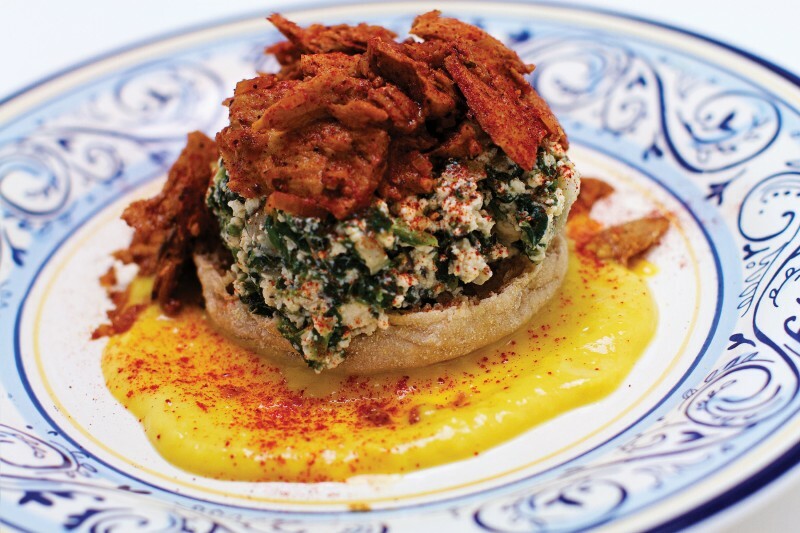 As Chef Del Sroufe points out, health doesn't come from a ‘vegan’ diet, it comes from a ‘whole-food, plant-based’ diet. This is a vegan cookbook that I can wholeheartedly endorse for my patients.